As part of the overall Falls Lake Nutrient Management Strategy, the City of Durham is converting the Duke University Diet and Fitness Center into a constructed wetland to provide significant water quality benefit plus flood control, enhancing the existing adjacent walking trail and making the site an amenity to the community. 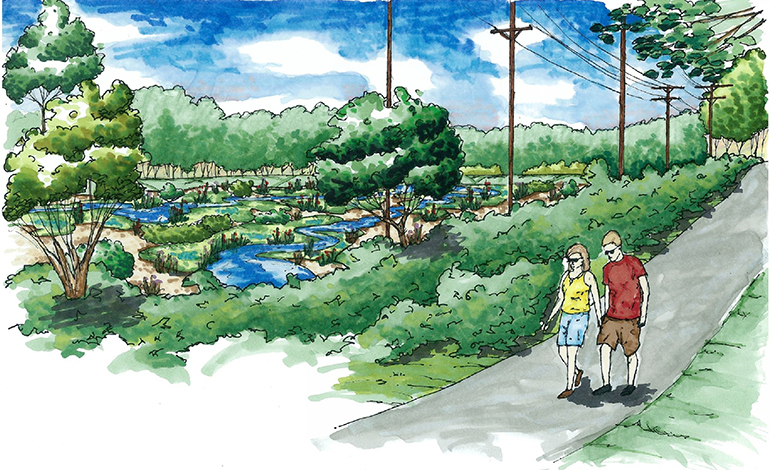 The site receives runoff from approximately 485 acres of highly-developed area and will provide a significant reduction of stormwater pollutants for the watershed. 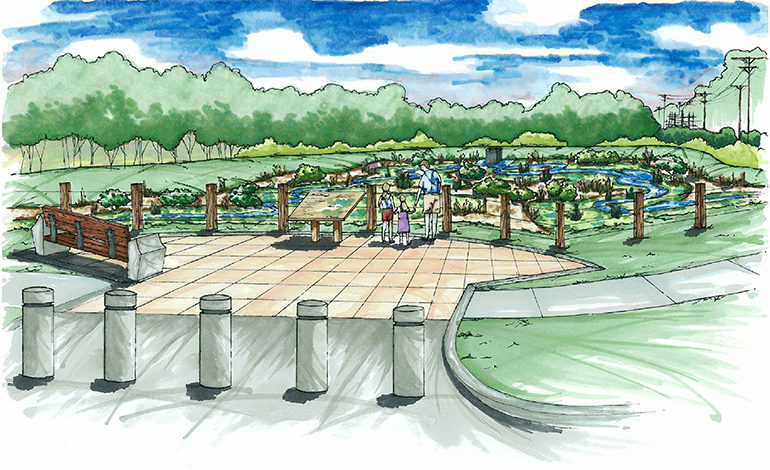 The constructed wetland will provide viewing areas, educational signs, benches and incorporate elements from the previous Duke Diet and Fitness Center into the project. The project included the demolition of the former Duke Diet Fitness Center building. This required the development of specifications for the abatement of asbestos-containing materials, lead-based materials, polychlorinated biphenyls (PCBs) caulking and impacted soil and removal of one 2,000-gallon and one 10,000-gallon leaking heating oil underground storage tanks (USTs). Abatement and UST removal activities were successfully conducted in 2018. Contaminated soils were identified during UST removal and were excavated for off-site disposal to a permitted facility. Under North Carolina Department of Environmental Quality, UST Section approval, a chemical oxidant was placed into the excavation to treat petroleum-impacted groundwater in underlying bedrock fractures. McAdams is planning to conduct Phase II Assessment to evaluate the effectiveness of cleanup activities to obtain a No Further Action status with NCDEQ and to support the design and construction of the wetland park.